The other day in my children's Aikido class, I stopped the class and asked a question: "What is the capital of Texas?" Without hesitating, all the kids together shouted out "Hips!" The joke in our class is that all questions in Aikido have the same answer, "hips," and so the kids immediately knew how to answer my question about Texas. In the same way, there are some simple, basic Aikido ideas/processes that can be helpful in answering almost any performance question in any area of life. 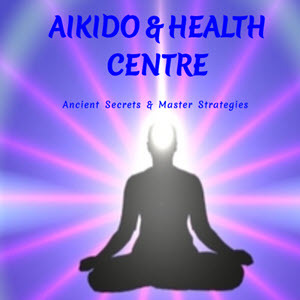 As a professional body worker, I teach these processes outside of Aikido to a wide variety of people with a broad variety of interests and needs. The essence of these practices is fullness, that is, being present and open in breathing, posture, movement and intentionality. Whatever you do, you will do better if you are present in your body. The concept of fullness and methods for achieving it are often more implicit than explicit in Aikido. It was in Aikido practice that I had the opportunity to study myself in movement. Aikido was my laboratory for developing and testing my ideas and methods of body awareness training. Aikido pointed me in the direction of fullness. However, the concepts and exercises are generally not brought out in the specific, systematic ways that I need to learn and like to teach. In the end, I had to develop my own training methods. These training methods emphasize breaking complex, global processes down into modular units of exercise and skill acquisition. 1 Copyright © 2002 by Paul Linden. This article is copyrighted by Paul Linden; however, it may be freely reproduced and distributed for non-commercial uses as long as the complete article, including contact information and this copyright notice, are included. Aikido techniques were too complex and subtle for me. I gradually realized that I had to study something that was much more basic than the physical defense techniques. I worked out some basic mind/body practices that enabled me to start practicing Aikido more effectively. Then I discovered that those practices helped me improve daily life effectiveness. 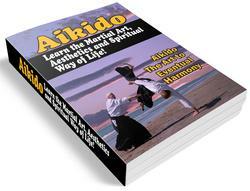 I eventually found that these practices were helpful to other Aikidoists. And later I started teaching those mindbody practices outside of Aikido and became a professional somatic educator. As I taught people outside Aikido, I found that the mindbody awareness training methods I had developed are broadly effective in improving action in any area of life. 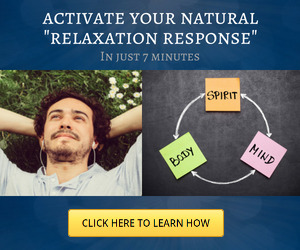 They are based on some simple but far reaching ideas/experiences about how the mindbody functions. Body alignment (posture) and body use (movement style) are the concrete manifestations of a person's philosophy of self/world/action. Emotions and perception are physical actions done in the body. Intentionality is what shapes posture and movement. The attack/defense interaction is an excellent model for all problematic situations. The common response to a challenge is to constrict, twist and harden the breathing, posture, and movement. This hardening is the somatic action of separateness, isolation, fear, anger, and effort. It is possible to replace the action of hardening the body with the intention/action of opening the body. Speaking in terms of intentionality (or ki), this would be an expansive, radiant, symmetrical state of intention. Speaking in terms of posture, this would be a vertical state of alignment, with the spinal column and head supported effectively on the pelvis and legs. Speaking in terms of psychology or spirituality, this would be an integration of awareness, power, love, and freedom. This state of open integrity is the basis for effective thinking and acting in any area of life. In the workshop for Aiki Extensions, I will show examples of how I have applied these ideas and exercises in a number of seemingly different areas of work: music, computer ergonomics, gardening, pregnancy, sports performance, work with children with Attention Deficit Disorder, sexual abuse recovery, and peacemaking. And of course, Aikido teaching itself. Any one of these applications merits a whole paper to itself, or even a whole book, but I think that a brief survey will make clear how some fundamental elements can apply to a wide variety of tasks and how Aiki-based mindbody training can be extended into daily life activities. Detailed written descriptions of the techniques of body education that I teach demand a good deal of space, more space than would be appropriate here. For those readers interested in seeing exactly how the techniques are done, the articles and books on my website provide a detailed and extensive description of the somatic education methods I have developed and their applications in various areas of life. In the next section, in order to give an idea of the methods by which I teach body awareness and effective movement, I will briefly describe examples of some of the fundamental body awareness exercises I use. Efficient body use is the foundation for strain-free, effective movements for task performance and is also the basis for emotional centering and clarity of thinking. The four key elements in the methods I work with are breathing, posture, movement mechanics, and intentionality. In the third section of the paper, I will go on to show how these methods may be applied in various areas of daily life.